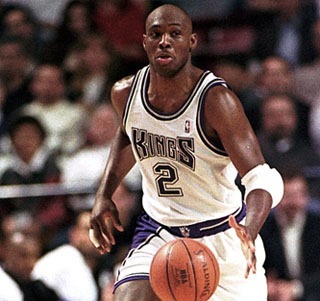 Mitch Richmond was drafted by the Golden State Warriors at number 5 overall in 1988 NBA Draft. 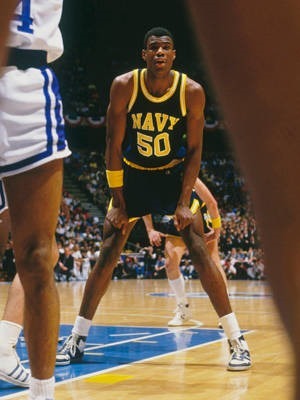 His first season (1988-89) as an NBA player Richmond averaged 22ppg., 5.9rpg., 4.2apg. and was selected as the NBA’s Rookie of the Year. His special scoring ability alongside Chris Mullin’s (26.5ppg. in 1988-89) made the Warriors a play-offs team immediately. He was a perfect fit for Don Nelson’s offense that involved a lot of fast breaks and quick shooting. That year, the last season of the 80s, Warriors made it to the Western Conference Semi-finals, where they lost 4-1 to the Phoenix Suns. Unfortunately, Western Conference Semi-finals would be the furthest Richmond would reach into the play-offs throughout the 90s (Warrios 90-91)and this is something that definitely hurt him personally as well as his reputation. I believe that even in the ranking of this blog he would have been higher if he had achieved more things on a team-level. However, individually Richmond was definitely one of the finest stars the 90s had to offer and probably one of the most underrated players ever. Personally, I have underestimated him as a player, when he was active, and only felt his presence when he won the MVP award at the 1995 All-Star Game. Richmond will always be remembered as a member of the trio of the run n’ gun offense Don Nelson employed at the Warriors’ team during 1990-1991, aka Run TMC. The trio was composed of Tim Hardaway, Mitch Richmond and Chris Mullin and made to the Western Conference Semi-finals in 1991. All three members of the Run TMC averaged over 20 points per game in 1990-91; Tim 22.9, Mitch 23.9 and Chris 25.7. This team despite the fact that it didn’t accomplish anything big, will always be remembered by those witnessed it as it played an up-tempo, high scoring and spectacular game. I remember watching him striving every year, to achieve team goals all by himself. 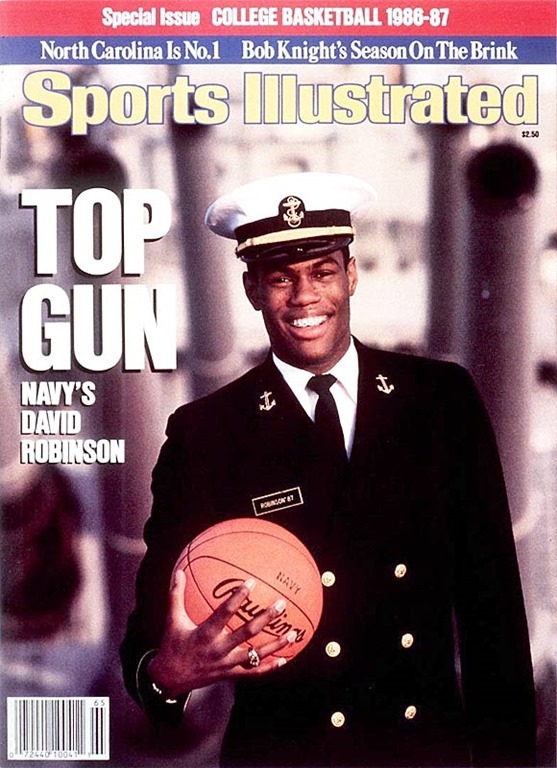 I always thought that David Robinson did not have the necessary help to win a championship but looking back now, I think Richmond was in the worst position comparing with the other superstars of the 90s. I wish the Spurs had traded for him and paired him with Robinson…imagine that. I think a Richmond-Robinson duo probably in 1994 would have changed the NBA-history of the 90s. Unfortunately this is something I can only dream of. The more I think about it the more I am convinced that the best characterization for Richmond is that of a superstar an unlucky superstar; if MJ identifies you as the toughest opponent he had faced then I think you must be at the superstar level. Their duels were a special treatment for us NBA fans of the 90s (whenever they were televised and broadcasted in Greece…) What made Richmond so special is that he had very few weaknesses in his game, he was a great shooter and he was really strong and competent in both ends of the floor. He only made it once to the play-offs, with the Kings, in 1996 as the 8th team of the West and played against the powerful Seattle Supersonics that defeated them 3-1 and advanced all the way to the NBA Finals to lose 4-2 to the Chicago Bulls. 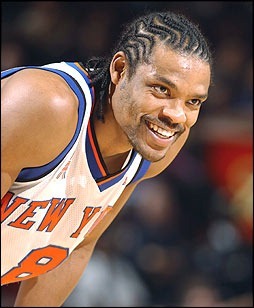 Statistically his best season was the one that followed; in 1996-97 he averaged a career high 25.9ppg. (5th overall). During the summer of 1996 he was also selected as a member of what it was known as Dream Team III and won the Gold Medal at Atlanta’s Olympic Games. Even in this case there were many that thought of him as an unexpected selection – just for the record, I did not belong to that group of people. 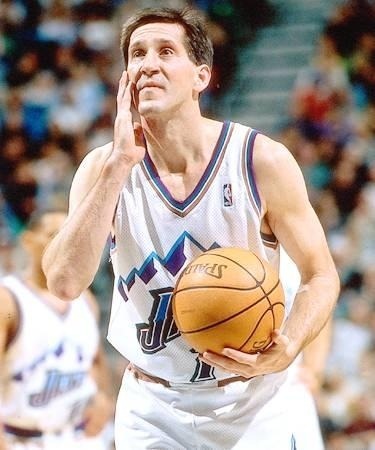 Richmond, or ‘the Rock’, as his nickname was, participated in 6 consecutive all-star games during the 90s (from 1993 to 1998), but he was a starter only in 1994. He was also selected three times in the all-NBA second team (1994,1995,1997) and two times in the all-NBA third team (1996, 1998). He finally left Sacramento at the end of 1997-98 season as he got traded to Washington for Chris Webber. His fate, however, unlike that of the Kings, did not change after the trade. During the last season of the 90s he averaged below 20ppg. (19.7) for the first time in his NBA career. Richmond was basically at the end of his career when he got traded to the Wizards and he was lucky enough to win a championship in his last year as a member of the Lakers (2001-02), even though not in the fashion he would wanted it to be (he was a bench warmer in that Lakers team). Joe Dumars III (born May 24, 1963, at Shreveport, Louisiana). Dumars was drafted at number 18 of the 1985 NBA Draft by the Detroit Pistons, the team that he played for his whole NBA career. If I had to describe Dumars with one word, I would choose; tough. This is what Dumars was; a tough player, a player that was ready to do whatever it takes to get the job done in both ends of the floor, but what distinguished him from the rest of the tough guys of the NBA is that he was never considered as such. He was the gentle guy in a bad-boys team. He played tough within the limits of the game and that is why he was widely respected. He possessed a great knowledge of the game and he was able to turn his disadvantages into advantages. He helped the Pistons win two NBA titles in row, one of them in the 90s, while winning the NBA Finals MVP award in 1989. But, all of us that had the opportunity to watch him play will always remember the way he guarded MJ in the legendary Pistons-Bulls rivalry (1,2). Dumars joined a mediocre Pistons’ team that under the guidance of Chuck Daily was collecting the right pieces to become a legendary NBA team. Dumars had a good, but not a special, year as a rookie and was selected in the all-rookie team of 1986. He increased his scoring averages in each of the following years in the 80s and alongside Isiah Thomas, Bill Laimbeer, Dennis Rodman, Mark Aguire, Rick Mahorn, James Edwards, John Salley, and Vinnie Johnson formed Detroit’s Bad Boys that played in two NBA Finals (1988, 1989) during the 80s winning one of them (1989); 4-0 against the Los Angeles Lakers. 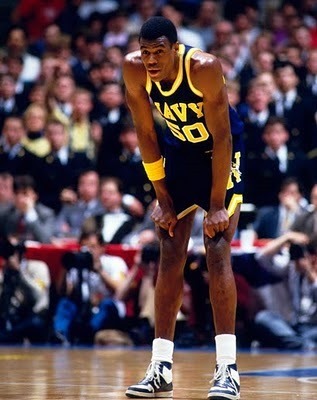 In 1989 he was recognized as the MVP of the NBA Finals with 27.3ppg., 1.8rpg. and 6apg. In the first year of the 90s Pistons were the favourites to win the title again and Dumars was already recognized and accepted as a centre piece of the team, even though Isiah Thomas was considered the superstar of the team. In the two previous seasons Pistons had eliminated in the play-offs the young and emerging central-division rivals Chicago Bulls. Their rivalry reached another level as the Bulls accused the Pistons of employing a defensive strategy that has been known as the “Jordan Rules” to defeat them. This higher level of rivalry made the 1989-90 season really interesting. Joe Dumars did his job as usual, scoring 17.8ppg. in the regular season, while making his first appearance in an all-star game, as a reserve for the Eastern Conference. He was also selected as a member of the NBA’s all-defensive team for the second consecutive time in his career. During, the play-offs he played again according to his standards scoring 18.2ppg., while providing first-class defending for his team. The Pistons beat the Bulls again 4-3 in the Eastern Conference Finals. Dumars was the man that was guarding MJ and at the same time he was the first scorer of his team in the series with 20ppg. Pistons advanced to the NBA Finals and won their second consecutive title by defeating Portland Trail Blazers 4-1. Dumars guarded the arguably second-best shooting guard of the 90s, Clyde Drexler, and posted some great numbers in the offense as well with 20.6ppg. and 5.6apg. Next year Dumars led the Pistons in scoring with 20.4ppg. in the regular season and in the play-offs with 20.6ppg. But this was the last time that Dumars was going to go so far in the play-offs. Pistons lost 4-0 to their rivals Bulls in Eastern Conference Finals and this was the beginning of the end for Detroit’s Bad Boys. 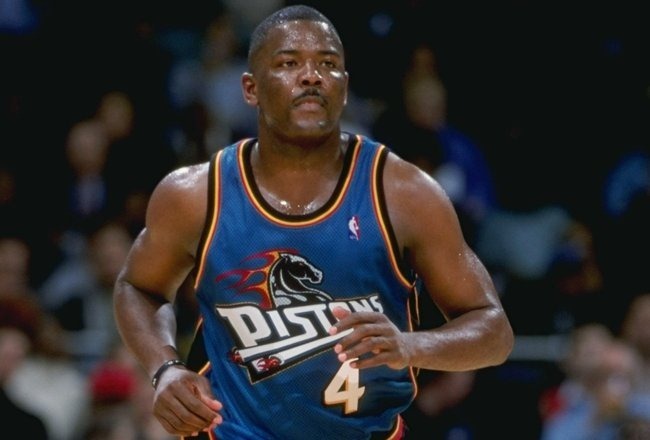 Later, after the end of his career as a player, Dumars, as the president of basketball operations at the Pistons’ organization was able to create a second version of the Bad Boys that won an NBA title in 2004 and had several good years as a top team in the Eastern Conference. Dumars led the Pistons in scoring in the next three years (1992, 1993, 1994), with 1993 being his best ever season in terms of point per game: 23.5ppg. 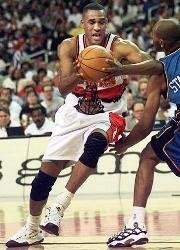 He appeared in 6 all-star games for the Eastern Conference, 5 of them in a raw (1990-1995) and the other one in 1997. He was a starter only in 1991. He was a member of the NBA All-Defensive team 3 times (1990, 1992, 1993) and one time he was included in NBA’s second All-Defensive team (1991). He was a member of the NBA’s second All-NBA team in 1993 and was voted two times in NBA’s third All-NBA team (1990, 1991). In the summer of 1994 he participated in the World Basketball Championship as a member of Dream Team II. 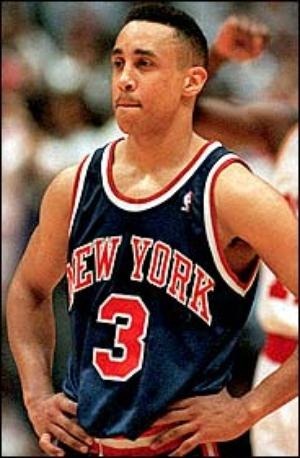 Since, the arrival of Grant Hill at the 1994-95 season he took a second role in the team behind the young star. From 1996 until the end of his career at 1999 he also played some point guard in a Piston’s starting line-up that included Allan Houston or Jerry Stackhouse at the two-spot. Dumars will always be remembered as the best defender that MJ has ever faced, according to MJ’s words. But, he was far more than just a good defender, his career numbers show that he was a great offensive player as well as a great facilitator. Dumars was a real combo-guard that could play both guard positions efficiently.